Ashihara Karate International is an organisation operated by and dedicated to the service and advancement of its members and offers the following benefits to Schools and Martial Artists. 1. Direct access to Kaicho Narker and his designee's. 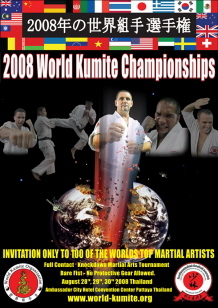 He has held numerous clinics throughout the world in the last few years and will do more in the near future. 2. Continual guidance in technique and tradition by Kaicho and the Technical Advisory Committee. 3. Access to important International Ashihara figures throughout the world. 4. Knowledge that your instruction is of the highest quality due to the requirements for instructor certification. 5. Standardisation of technique throughout every member dojo as regulated by the Technical Advisory Committee -maintenance of purity of the art. 6. High standard for promotion which means that each students rank is accepted and respected world-wide by other martial artists. 7. Unity and strength which is gained by membership in a highly respected common interest group. Strength of the group serves to strengthen the individual and his/her self-image. 8. Provision of an organised structure and centre for the further development of Ashihara Karate International in member countries. 9. 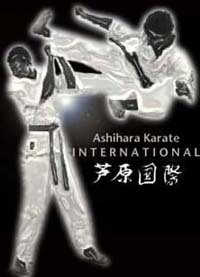 The dissemination of printed matter like syllabus, kata guide, training manual, teaching manual, black belt manual, tournament rules, and other educational literature to further the aims of Ashihara Karate International. 10. Ashihara newsletters -"Aisatsu" - to keep you up to date with what is going on and how other members are doing. Also articles on special events and activities, training information and much, much more. 11. 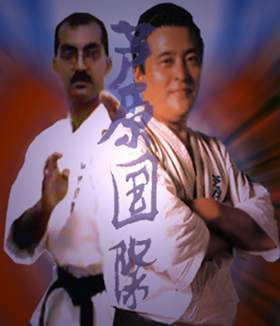 Comprehensive Video Training Tapes covering all aspects of Ashihara Karate, including Kihon, Kata, Self Defence, Refereeing, etc. 12. Assistance in training, teaching, testing, rank promotion, advertising and business management. 13. Regular training camps and tournaments in South Africa and other member countries. 14. 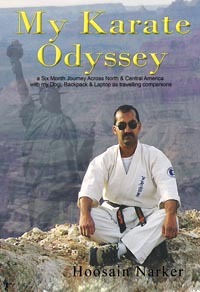 Cross training opportunities in other Martial Arts like Kobudo, Ju-Jutsu, etc. 16. Coaching and Refereeing Awards for Instructors. 17. Grading and Proficiency Awards. 18. Membership book, to identify you as a student of Ashihara Karate, showing your rank, tournament achievements and seminar attendance. 19. Computer program to aid dojo management. Join Kaicho Hoosain Narker and Ashihara Karate International in the Spirit of Budo to get a sense of Purpose and Direction in your training. We know that you will be as excited as we are about A.K.I., once you join and take advantage of the many benefits. Check out the details elsewhere on this site, and get involved...... Osu!